Haley McEwen has a PhD in Sociology and is currently Research Coordinator at the Wits Centre for Diversity Studies. She is also Associate Editor of the International Journal for Critical Diversity Studies. Her research takes an intersectional decolonial approach to the study of knowledge geo-politics of sexuality, gender, and family. Her work focuses on the ways in which hegemonic formations established by modernity/coloniality intersect and co-construct one another. Haley has also played a coordinating role in projects that employ art-activist methods to challenge and expand existing social imaginaries so as to subvert these interlocking systems of oppression. She is co-editor of a special issue of Agenda, ‘Queer & trans art-iculations: Decolonising genders and sexualities in the global south’, with Tommaso Milani (2014). She has also published a number of articles in journals including Critical Philosophy of Race, Development Southern Africa, Diversities, and Critical Race and Whiteness Studies. 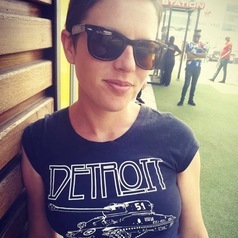 Haley holds an MPhil in Diversity Studies (University of Cape Town) and a BA in Social Relations (Michigan State University).